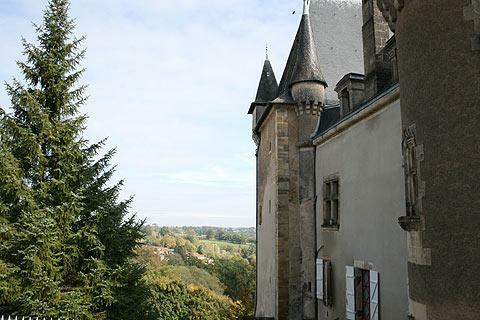 Thiviers is an active town in the northern Dordogne that is situated between the deeply valleyed landscape and Regional natural Parc of Perigord-Limousin to the north of Thiviers, and the more gently rolling countryside found to the south. 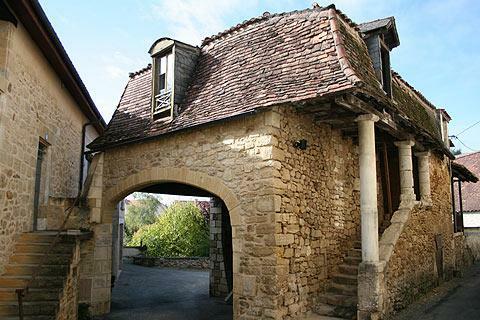 It is a good base for exploring this northern part of the Dordogne region. Thiviers prides itself especially on its local speciality, foie gras, and the other regional produce such as walnuts and truffles. Indeed the town has designated itself 'Capital of the foie gras in Green Perigord'. The Church itself dates from the 12th century but has been renovated and altered over the centuries. Don't miss the devilish carvings on the columns inside the church. To the south-east of the church you can see the renaissance style facade of the 16th century Chateau de Vaucocour, built on the site of a 12th century castle that was destroyed in the Wars of Religion (the castle is not open to the public). The town has an important history of producing pottery (faience) and there is a museum dedicated to the story of the production. To learn more about foie-gras you can visit the museum in Thiviers that is dedicated to its production. Thiviers has all facilities and is a pleasant centre for a stroll. Saturday morning is market day in Thiviers and that is the best time to see a wide selection of the local produce and specialities. The region around Thiviers contains attractive countryside, and there are many marked walks to follow, also horse-riding at Lempzours and canoeing at Corgnac sur l'Isle are popular activities. There is a long path - cycle route towards St Pardoux-la-Riviere that leaves from Thiviers, and the lake at Nantheuil is popular with sunbathers and swimmers (also for fishing). While at Thiviers don't miss the nearby village of St-Jean-de-Cole. Found seven kilometres to the west of the town it is an attractive village with a stone bridge over the river, and a well preserved old centre with a covered market and a church. 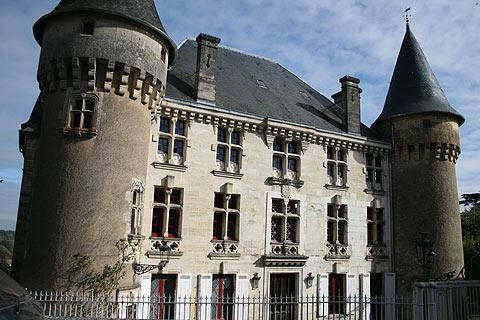 Also recommended for a vist is the Chateau de Jumilhac, 20 kilometres north-east of Thiviers. A seasonal market is held in Thiviers on Tuesday.